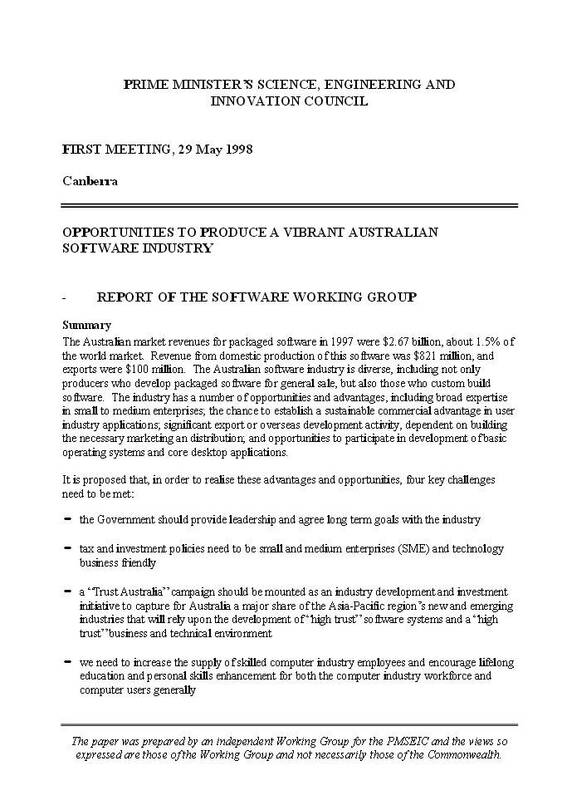 The Australian market revenues for packaged software in 1997 were $2.67 billion, about 1.5% of the world market. Revenue from domestic production of this software was $821 million, and exports were $100 million. The Australian software industry is diverse, including not only producers who develop packaged software for general sale, but also those who custom build software. The industry has a number of opportunities and advantages, including broad expertise in small to medium enterprises; the chance to establish a sustainable commercial advantage in user industry applications; significant export or overseas development activity, dependent on building the necessary marketing an distribution; and opportunities to participate in development of basic operating systems and core desktop applications. 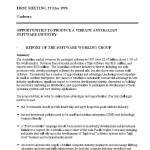 Posted in Asia Pacific, Digital Economy, Digital Media, eGovernment, Federal, Technologies and tagged Australian market, basic operating systems, core desktop applications, custom built software, domestic production, industry applications, medium enterprises, packaged software, PMSEIC, small enterprises, software industry, sustainable commercial advantage, world market.